At Inspire Pulmonary Media and PulmonaryHypertensionRN.com, our mission is to provide accurate and easy to use information about pulmonary hypertension. We recently received a question from a reader that made me reflect on how scary getting a diagnosis of pulmonary hypertension can be for patients and their families. The reader asked what they should do after they were told that their echo-estimated pulmonary artery pressure is severely elevated. I thought it might be helpful to generate a step-by-step plan for a patient that has recently been told that their estimated pressures are elevated. First, some background on what an echo actually can and can’t tell you about pulmonary hypertension. An echocardiogram is an ultrasound-based test that can provide a great deal of information about your heart’s structure and function. From a pulmonary hypertension specialist’s perspective, these are the pieces of information that are important. 1. How is the left ventricle performing? Systolic function refers to the squeeze of the ventricle. It is measured as ejection fraction. Normal ejection fraction (EF) is greater than or equal to 55%. Diastolic function refers to the relaxation phase. Is there increased thickness of the left ventricle (left ventricular hypertrophy)? Many echo reports do not comment on diastolic function at all. 2. Is the left atrium enlarged? This can be a tip that the problems starts on the left side of the heart and not the right. 3. 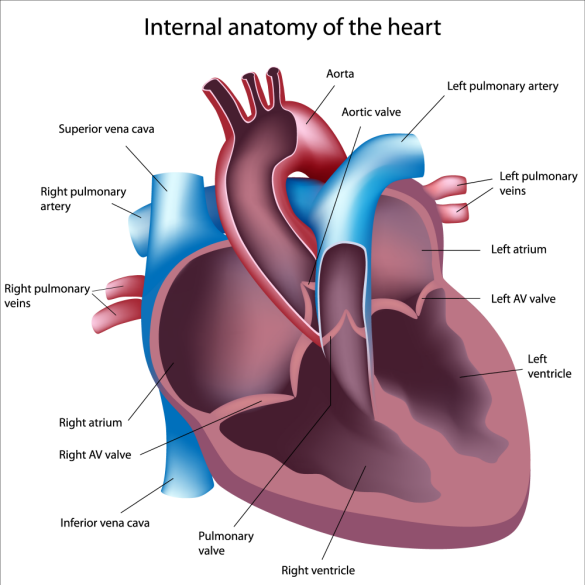 How are the valves on the left side of the heart? There are two valves, the aortic and the mitral valves. Problems with either or both can lead to elevations in the estimated pulmonary artery pressure. 4. How is the right ventricle performing? Is the right ventricle dilated? Is it squeezing normally? Is the right ventricle too thick? 5. Is the right atrium enlarged? 6. Are the right-sided heart valves (tricuspid and pulmonic) abnormal? What is the estimated pulmonary artery pressure? How did they estimate right atrial pressure? This is a long-winded way of saying that an echocardiogram is much more than just a single estimate of your pulmonary artery pressure. You need to consider the entire heart first to provide some context for the pressure estimate. An echocardiogram has limitations. In some patients, the images are suboptimal and less data can be gathered. The pressure estimates are only ESTIMATES and subject to technical limitations. Just like some cooks make a better soup, some echo technicians obtain better images. You can never diagnose pulmonary hypertension based on an echocardiogram. The echocardiogram may suggest the diagnosis but a right heart catheterization is required to confirm the diagnosis. Once you have been told that your pulmonary artery pressure is elevated, it is important to see a physician that is an expert in the evaluation of pulmonary hypertension. Step 1. Why was the echocardiogram performed? Are there symptoms of shortness of breath? Are you limited in your exercise capacity? Step 2: What other medical problems are present? A patient with advanced pulmonary fibrosis is very different from an otherwise healthy 30 year-old woman. Step 3: A complete history and physical exam is performed looking for diseases associated with shortness of breath. Step 4: A basic battery of tests is required. This includes a chest Xray, breathing tests, a walk test, blood tests, an EKG. Some patients will need a larger battery of tests, perhaps a CT scan of your lungs, a test for blood clots in your lungs and even a sleep study. Not every patient requires every test. An expert in the evaluation of pulmonary hypertension will be able to determine which tests are important. Step 5: Your doctor will review your results and decide if there is still reason to suspect pulmonary hypertension. If there is still good reason to be worried about pulmonary hypertension then the next step is a cardiac catheterization to directly measure the pressures in your heart. Step 6: Your doctor will review the results of the heart catheterization with you and formulate a final diagnosis and map out a treatment plan. Step 7: Your doctor will frequently re-evaluate you and monitor your progress. Repeat tests are needed and changes in medications may be required. I can’t emphasize enough that working with a doctor that is an expert in the evaluation and treatment of patients with pulmonary hypertension is essential. Every week I see patients whose doctors misinterpreted data, did not order essential tests, or simply ignored the results of the tests. You should feel comfortable seeking a second opinion. It is never appropriate to begin treatment for pulmonary arterial hypertension prior to a right heart catheterization.